Calgary will share the Cultural Capital of Canada 2012 title with the Niagara region in southern Ontario. 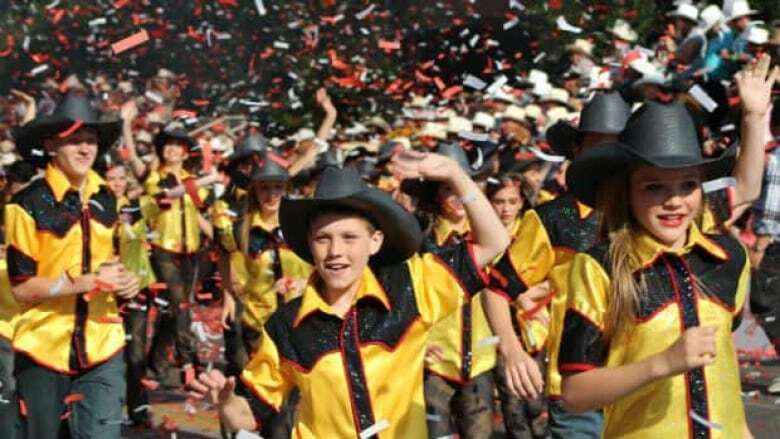 Calgary will share the 2012 Cultural Capital of Canada title with the Niagara region in southern Ontario. The designation comes with a $1.6-million federal government grant. Calgary-Centre MP Lee Richardson made the announcement Friday on behalf of Heritage Minister James Moore at the Grand Theatre in Calgary. "Calgary is one of Canada's fastest growing and most vibrant cities, and we look forward to working with the city on its upcoming centennial anniversaries to continue to promote the arts, boost tourism, and grow our economy," said Richardson. The federal government gives the title to at least one city a year. It's part of a national program to recognize special activities in Canadian municipalities that harness the benefits of arts and culture in the community. Mayor Naheed Nenshi says 2012 will be a big year for the city. Among other things, the Calgary Stampede is celebrating its 100th year. "As you know, city council has committed $2 million to cultural activities in 2012 in recognition of what a big year it is, and the fact that the federal government is coming to the table now with an equivalent sum or a roughly equivalent sum is a huge deal," he said. "It means, frankly, we can do twice as much and the plans really needed the federal government's participation to make this happen." Nenshi said he would disagree that the importance of culture is a new thing for Calgary. "I would argue that the roots of Calgary's success are the fact that we have always had an open society," he said. "When you come here nobody cares where you come from or who your daddy is or how much money you have or where you went to school." Nenshi thinks Calgarians care about new ideas and how to make them happen. "If you've got great ideas and you're not afraid of hard work, this community is going to help you succeed," he said. "This is a great opportunity for us to tell that story across the country." Nenshi said he is a good example because nationwide people were surprised when he was elected as the first Muslim mayor in a major Canadian city. "Calgarians were not surprised because Calgary has always looked like this," he said. Several groups will be holding centennial celebrations next year, including the Calgary Public Library, the Pumphouse Theatre, Theatre Junction GRAND and the Calgary Stampede – which was recently named by CNN as the world's fifth-best party spot. Festivities are expected to launch in April 2012 and Nenshi said the city will be giving out grants to help fund celebrations. Ald. Brian Pincott said while some people may roll their eyes when they hear that Calgary is the Cultural Capital of Canada, they obviously don't realize how vibrant the city is. "I say that one of our best kept secrets is how amazing our cultural diversity is," he said, adding even Calgarians would be surprised. "I wish I knew why Calgarians are generally not aware that we have such a vibrant arts and culture scene. The capital of new Canadian play development is right here in Calgary. Nobody knows that."